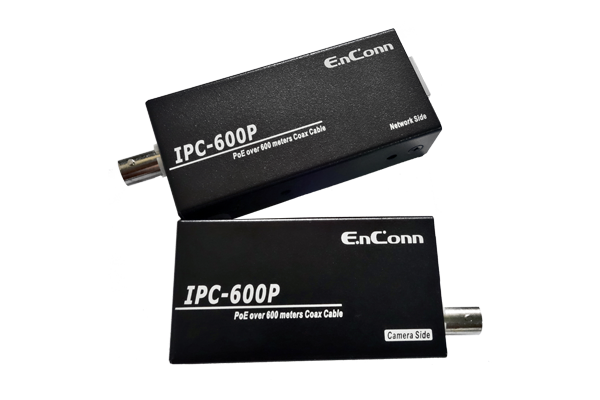 The IPC-600P enables Ethernet data and PoE power to go over coaxial cables. It gets power either from a PoE switch or through a power adapter. By adopting innovative technology, the range of the IPC-600P extends Ethernet and PoE power up to 600m over coaxial cable. The solution provides an easier, faster, and more cost-effective way for migration of analog to IP camera transmission.